Getting engaged and married the second time around can be just as special as the first time. There’s the excitement of being with the person you love and the anticipation of your future together. However, there will also plenty of differences in your second marriage. You’re not the same people you were when you first married so your goals and preferences may have changed. You’re also not with the same people, and your relationship and how you do things will be completely different. But just because things are different now doesn’t mean that you can’t have the same experiences. The second marriage is just as new and exhilarating as the first. Just because you’ve been there before doesn’t mean you can’t to pull out all the stops. Do You Need to Get a Ring? In your second marriage, there’s less pressure on grand proposals so there’s more room for the couple to decide what they want to do together. If both of you want an engagement, then get a ring to symbolize your future together. You can shop for a ring together, or you can surprise your partner with one. It all depends on both of your preferences. Some people may say it’s not necessary to have a proposal and an engagement for the second marriage. Others will even go so far as to dissuade you to have one. Don’t let their opinions affect you. This decision is all about what you and your partner want. How Do You Find the Perfect Ring? If both you and your partner agree to get a ring, you only have to decide whether you want to do it together or not. Buying the ring together solves most of the challenges of finding the perfect engagement ring. You don’t have to sneak around to secretly get your partner’s ring size., and you don’t have to spend less time digging around their Pinterest page for their jewelry preferences. This time around, there’s less uncertainty that your partner may not love the ring you chose or that you may have gotten the wrong size. 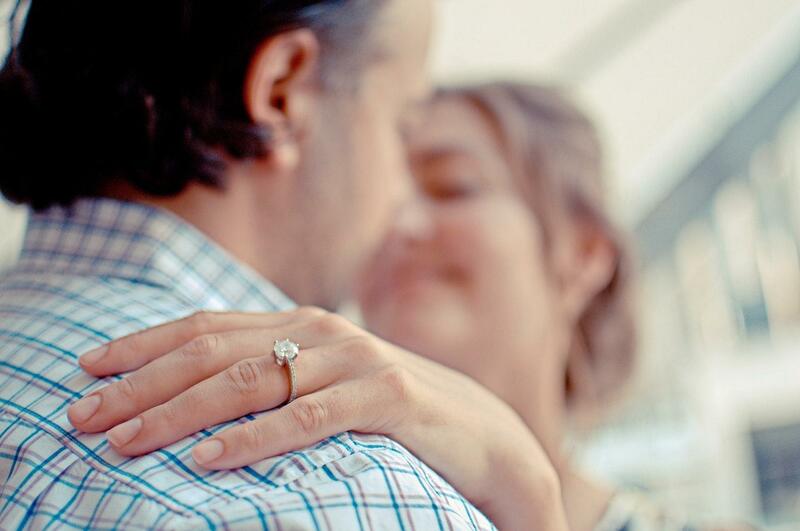 Your partner will be with you to choose the perfect engagement ring in their exact size. However, your partner may also want to be surprised. In this case, you should start looking through their jewelry box (and social media pages) to learn their preferences and ring size. As a more mature couple, you may have different priorities in life after your first marriage. Perhaps, this time around you’d like to spend less money on buying an engagement ring and more on building your home together. Consider getting a genuine discount engagement ring, which will save you hundreds to thousands of dollars. How you propose is completely up to you and your partner. If for some reason you partner wasn’t able to experience an unforgettable proposal on their first marriage, it falls to you to fulfill their romantic dreams. There’s no shame in making an effort, especially if it’s for someone you love. However, if you’ve both had your fill of grand surprises, you can organize a quiet, intimate proposal for your partner. You can make a reservation for a private booth at your favorite restaurant and propose there. You can pop the question during one of your movie nights at home or during one of your hikes. Whichever way you choose to do it make sure that you’re both comfortable at the setting and the method of the proposal. The best thing about your second marriage is you’re both more sure of what you want and you’ve taken the lessons from your first marriage with you. This time, everything is all for you to decide. You can either get buy a ring and skip the grand proposal, or you can choose to have both. If your opinions differ, you be completely honest about it and work out a solution that satisfies you both.